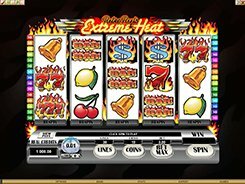 Extreme Heat is a retro-style slot that is part of the Retro Reels series produced by Microgaming. 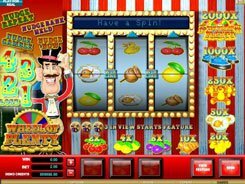 The game features 5 reels, 30 paylines and a classic set of icons such as bars, bells, sevens, cherries and lemons. A coin denomination varies in size from as low as a penny to $0.25. 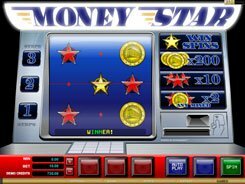 By selecting the number of coins from 1 to 15 per line, you can place a bet anywhere between $0.01 and $112.5. 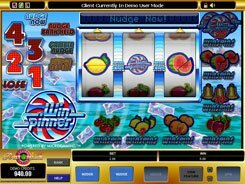 The game has a wild, a scatter, free spins and a respin feature. 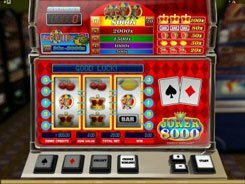 The Dollar Sign is a wild and the biggest payer in the slot awarding $37,500 for five of a kind. 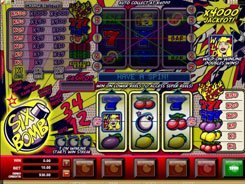 Two or more scatter symbols pay out up to x50 times a bet, and three of them scattered in any position unlock 10 to 20 free spins with all wins doubled. 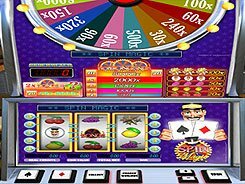 In the Extreme Reels slot you can take advantage of the respin feature that gives you the option to spin again one of the five reels to try to spin in a winning combination. The cost of respinning is charged at an extra cost shown for and below each reel.